From the opening notes of a hellish interpretation of Blondie’s “Call Me,” it’s obvious Christ has abandoned the soundscape of Sludgefest. Pitched down and brought to 16 speed, this collection of Alvin and the Chipmunks covers ranging from “Heaven Is A Place On Earth” to The Knack’s “My Sharona,” represent an auditory hell which haunts the deepest depths of this reviewers mind. 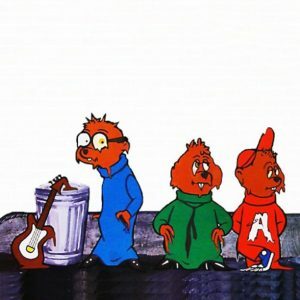 Particularly terror inducing is the Chipmunk’s cult-like chants on “Walk Like an Egyptian,” a track that is shockingly well-equipped for the treatment, arguably elevating the original to whole new heights. Sludgefest is the melting horror we deserve — a reminder that hell is real, and we’re living in it.